Whether you've just experienced a traumatic injury resulting in an upper limb amputation, or you've been living with a congenital limb difference all your life, the first step of your prosthetic rehabilitation journey is to research prosthetic providers and learn about the prosthetic options available to you. It’s a good idea to discuss your situation with more than one prosthetic provider and to make sure they have sufficient experience in upper limb prosthetics. Once you have identified an upper limb prosthetic provider, the next step is to be evaluated by a prosthetist. This step can be completed even if you are still hospitalized, in which case the prosthetist would visit you in your hospital room. An occupational therapist may also be part of this initial assessment. During your evaluation, the prosthetist will examine your hand or arm, ask you questions about your life and occupational goals and show you various types of prosthetic devices that may help you achieve those goals. They will also offer helpful advice for the early stages of your recovery. When your evaluation is complete, and you’ve decided to move forward with your prosthetic rehabilitation, you’ll need to provide insurance or other payer information, so that coverage can be verified and an initial prosthetic care authorization request can be submitted. After your authorization is completed, the three-stage fitting process begins. A temporary prosthesis will be created using a plaster cast or 3D scan of your residual limb, and then modified as needed to get a precise and comfortable fit. The temporary prosthesis is worn for several weeks, allowing you to provide feedback on fit and function to the prosthetist, who will adjust as needed. 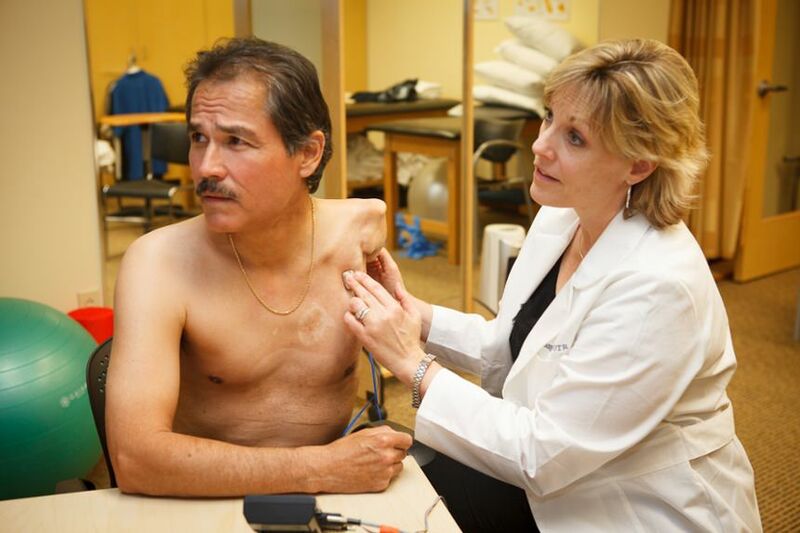 Once everything is fitting and functioning as desired, a permanent prosthesis is created. For patients who choose a myoelectric prosthesis, the prosthetist will identify the location of muscles in your residual limb that have strong electrical signals (suitable for myoelectric control) and then surface electrodes will be precisely placed inside your prosthesis to align with these muscles. Once complete, you’ll begin practicing how to activate the electrode controls. At this point, an occupational therapist should work with you on exercises and other techniques to prepare your residual limb for wearing your prosthesis. As your prosthesis nears completion, your prosthetist will work with you to connect and operate one or more terminal devices, which can be anything from a single finger or cosmetic hand, to a more complex, activity-specific attachment like a pair of pliers or a mountain bike grip. The prosthetist will work carefully on the alignment and suspension of the prosthesis to ensure a comfortable, functional fit and an occupational therapist will conduct prosthetic training to make sure you can use your prosthesis for everyday functional tasks. After your final prosthesis is completed and you return home, the prosthetist or therapist will check in with you periodically during the first six months to a year to make sure everything is going well.